While a good lesson is good irrespective of who’s teaching it, we’re shining a light on five lady bosses and world changers. And they were changing the world in a time when the world generally wasn’t interested in recognizing them for doing so. So let’s learn a thing or two about innovation from these five damsels-in-success who proved that doing something worth something is possible even in heels. 1. “Making it” isn’t an isolated event. 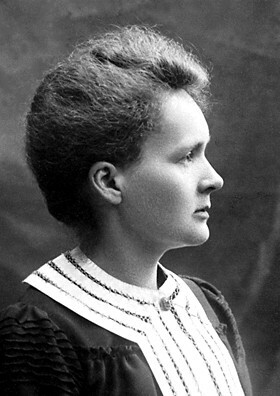 Marie Curie was the first in a lot of different contexts, and arriving at the top of the mountain didn’t stop her from pushing for more. She was the first female professor at the University of Paris. Then she went on to become the first female Nobel Prize Winner, and in fact, the first (and only) person to ever win two such prizes — in two different sciences. She also coined the word radioactivity and discovered Polonium and Radium because discovering only one element is for the birds. When you find, achieve, conquer, create, or finish your “it”, take a breather, enjoy the feel of the sun on your face, and then do it all again. 2. You don’t have to arrive at an idea first. You just have to make it better. 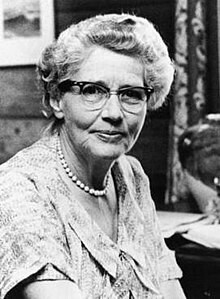 If you’re a fan of dunking a freshly baked Nestlé Toll House Chocolate Chip Cookie in a glass of cold milk, you have Ruth Graves Wakefield to thank for that. 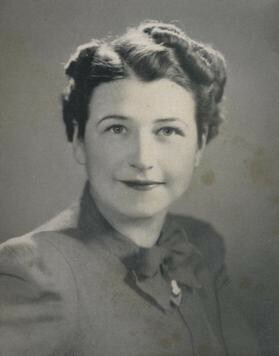 Using Nestlé’s semi-sweet chocolate, she crafted her own cookie recipe, and it was so successful, so delicious, that WWII soldiers were writing about them in letters and politicians visited her inn just to try them. She didn’t invent chocolate chip cookies. She didn’t even work for Nestlé. But she took the idea and made it better. In the end, she sold the recipe and brand back to Nestlé for one dollar and a lifetime supply of chocolate. Those are my kind of priorities! 3. Innovation is born from necessity. Full time nurse Marie Van Brittan Brown, feeling unsafe in her Queens apartment, took the issue of personal safety into her own hands. Her solution to the problem would go on to precipitate modern home security systems. Using closed-circuit television and two way microphones, she contrapted a rudimentary security system that allowed her to see just who was at the door and talk to them from all the way in her bedroom. Innovation isn’t always about creative expression. Sometimes, most of the time, it’s about solving a problem. So find the need, and treat the need. 4. Innovate everything, everywhere, always. 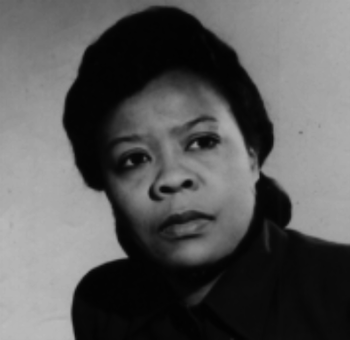 In contrast with most 1930s women, Beulah Louise Henry was a business owner, consultant, and an inventor — a very prodigious one. The moniker “Lady Edison” was well earned after more than 100 unique inventions and 49 official patents to her name. Her inventions include (but definitely aren’t limited to) can openers, hair curlers, the first bobbin-less sewing machine, the ice cream freezer, dolls that could open and close their eyes, and attachments for typewriters that would lead to modern day copiers. There is always more to do, so don’t pigeonhole yourself. Learn something new. Try something scary. Pursue fresh starts. 5. Under the right circumstances, weaknesses are strengths. A Dyslexia diagnosis made reading a challenge for Helen B. Taussig, but she persisted and excelled in Johns Hopkins Medical School. And when she went deaf in her 30s, she found alternative methods of studying pediatric heartbeats by feeling the beats with her hands. Her focused attention on the feel of heartbeats led to her discovery of Blue Baby Syndrome. Although the road was fraught with challenges, Helen used her weaknesses to her advantage. Life doesn’t play fair. So you don’t have to either. Use your disadvantages strategically, and set yourself apart because of those things. Know any innovative girls or women who are doing neat things in their jobs, areas of interest, or even just in their free time? Tell us about them, and use the hashtag #InnovateLikeAGirl.